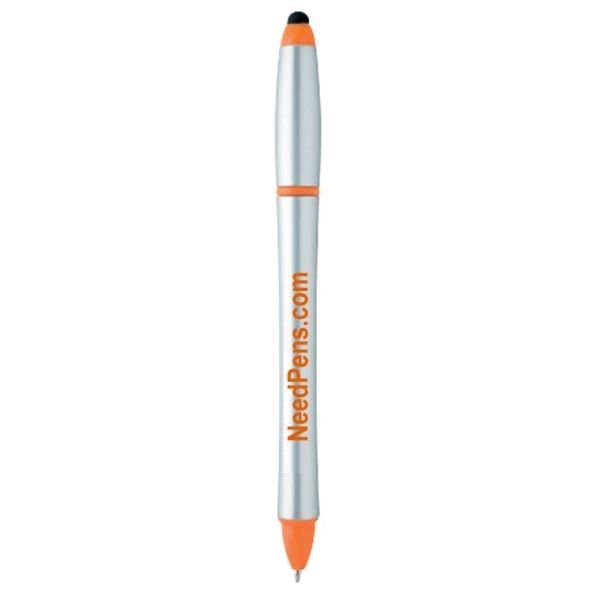 You'll have a combination "lock" on campaign success with the stylus highlighter-pen combo! 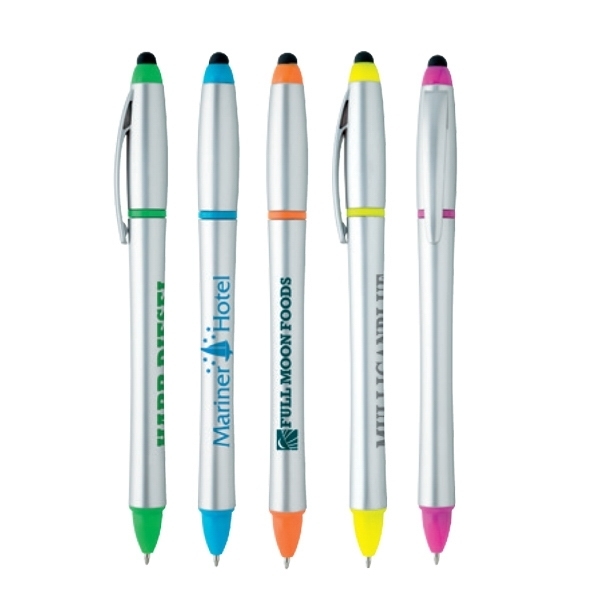 This multi-function writing instrument features a built-in, soft-touch stylus and twist-action, highlighter-pen combo with a clip, black ink and a medium point. The highlighter ink matches the trim color. Measuring 5 7/8" x 1/2" diameter, this giveaway is a good value. It's perfect for any business or event. 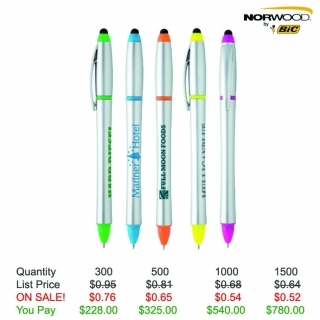 Have your logo or message imprinted now! 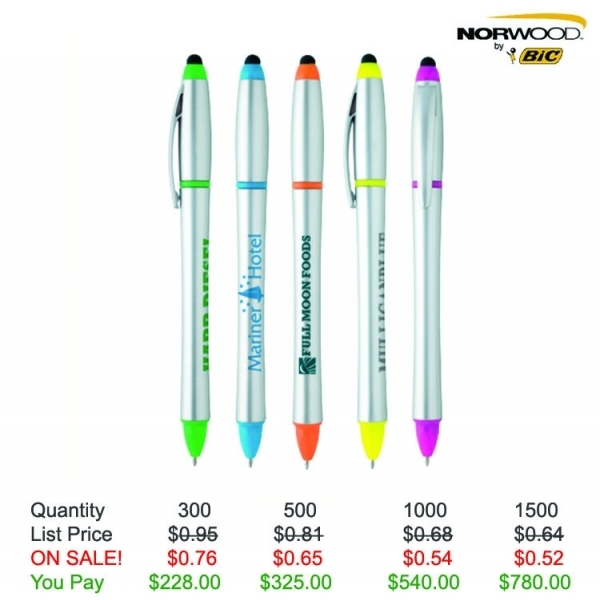 Product Features: Built-in, soft-touch stylus & twist-action, highlighter-pen combo with a clip. Item Size: 5-7/8"l x 1/2" dia. Highlighter Color: Highlighter matches trim color. Shipping Weight: 6 lbs. per 250 - FREE Shipping! Additional Information: Highlighter matches trim color.